Public Stargazing Saturday 5/11/2019 at Hanna Park SPECIAL WHOLE DAY EVENT! Why Become a NEFAS Member? 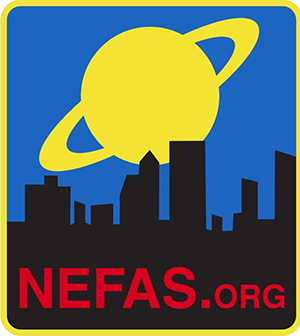 NEFAS is an organization conceived to support public education and the astronomical community in Jacksonville and the surrounding areas. Our operating expenses are covered exclusively through annual dues and the generosity of individuals or corporate sponsorship. Learn more about the benefits of joining NEFAS.